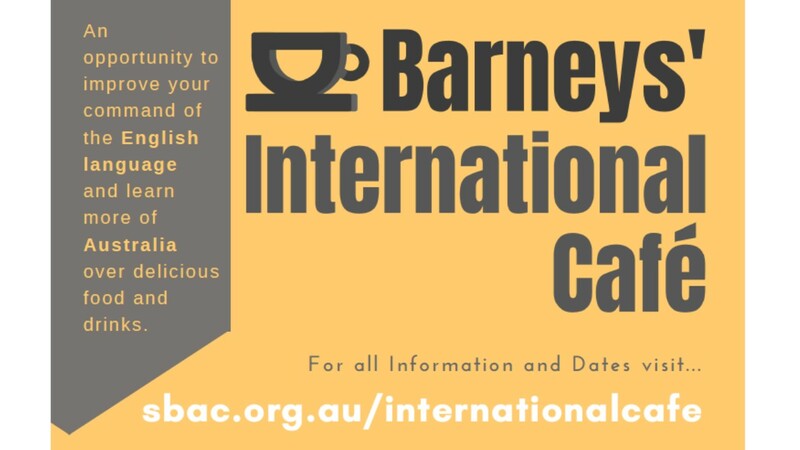 A Community Welcome Dinner will happen one week before Barneys’ International Café begins for term two in 2019 so come along to that to welcome people from different nations. Come and welcome people to the north-western suburbs of Adelaide and share your experiences in a safe and welcoming environment. 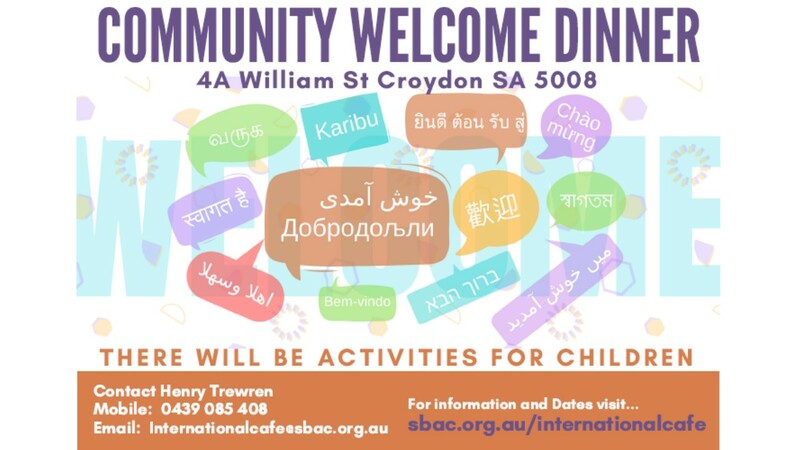 A Community Welcome Dinner particularly for people in the north-west of Adelaide. Come if you are a migrant or new arrival or an established Australian or a refugee or an asylum seeker or an international student to Australia. All are invited but please register if you will come. You can invite your friends and family. Bring a plate of food to share (please bring a label for your food).